UMP | University of Minnesota Press Blog: Recovering the fading histories of America's postwar suburban churches. Recovering the fading histories of America's postwar suburban churches. Mention “postwar suburban church” and you are likely to conjure images of parking lots filled with late-model cars, flocks of children dressed for Sunday school, and a full schedule of weekly social activities and obligations. There is truth to this image. There is also some truth to the claim, often cynically delivered, that these were “country clubs” more than communities of faith, homes for consumers-in-training, refugees from the gritty problems of the city. But that is a stereotype. What do we actually know about the “seven-day-a-week” suburban church? As a student of ordinary architecture and American religion, postwar suburban churches—especially innovative modern ones, with their quirky shapes and domestic character—aroused my curiosity. For nearly a decade, I journeyed around the Midwest to look at buildings, trying to understand the postwar culture they signify. Along the way I met people who built them, worshipped in their sanctuaries, took their children to Sunday school, and served the community through congregational programs. Through these conversations, I learned how these churches gave individuals and families a spiritual center in a time of rapid and exciting—if sometimes bewildering—change. The rise of the postwar suburban church was an extraordinary episode in the history of American religion, one embodied in these buildings and held in the memory of our oldest generation of Americans. One July day in 2007, near the beginning of my research, I met Stan Boie at his small ranch house in Park Forest, Illinois. Today a struggling south suburban Chicago community, Park Forest was once hailed as a model community. Young families flocked here, eager to get on with their lives after the war, relieved to find affordable new housing and civic-minded neighbors. Here they built churches and schools, shopped, made new friends, and raised a generation of Americans. Stan, a Missouri Synod Lutheran, was delighted to find a house in what seemed at the time to be a “miraculous” place. 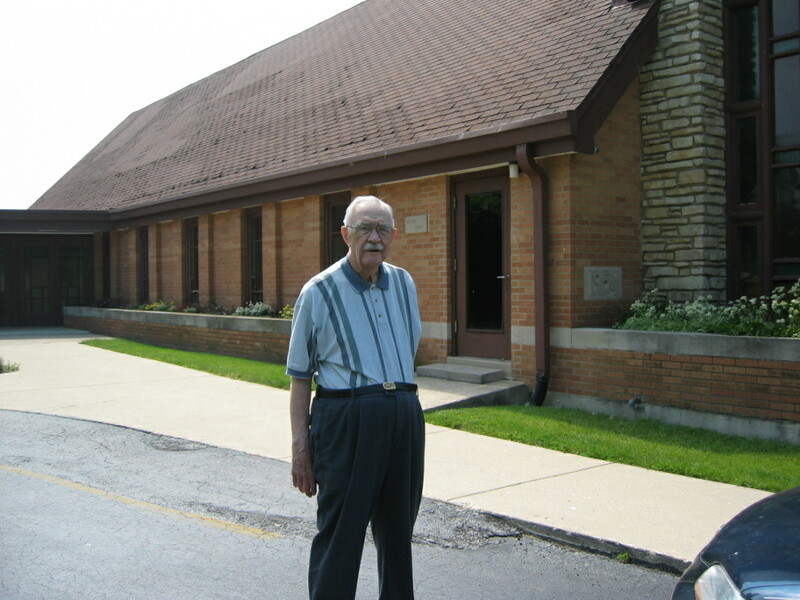 He was a founding member of Hope Lutheran congregation, and involved with building their “first unit” church, dedicated in 1957 (Charles E. Stade). Stan spoke with humor and fondness about his congregation, their mistakes, their joys, and the centering it gave to a generation eager to move forward. He laughed as he told me about flooding the churchyard for an ice rink one winter, or singing Christmas carols with a twist—“Hark the Herald Ad-Men Sing,” or “O Little Town of Worn-Out Men.” Stan described a rigorous program of Christian education. And he wondered, quietly, if his church, and many others, took too much for granted, neglecting to think more deeply about the future. In the Tolleston neighborhood of Gary, Indiana, St. Augustine’s Episcopal mission, an African American congregation, found a home in 1955. Real estate practices kept these rising professionals out of the market in many parts of Gary, but here they built ranch houses and new schools, made friends, and built their church (Edward D. Dart, 1959). One Sunday in 2012, Paula DeBois, an airline pilot who grew up in the church and has taken profound interest in the congregation’s legacy, introduced me to a dozen octogenarians at the post-worship luncheon in the undercroft. These devoted members told me about their lives in the 1950s and 1960s, their dreams for their children, their pride in their church and community. The neighborhood now struggles. Schools are shuttered and many houses are in shambles. But the remnant of the congregation hangs on, a few dozen worshippers gathering each Sunday in their recently landmarked building. at Partners for Sacred Places workshop, 2014. The congregation of Westwood Lutheran Church in Saint Louis Park, Minnesota, had a vision for community that began with making a place for children and teenagers. Their first building, in fact, was devoted to education and recreation. Westwood’s subsequent sanctuary (Edward Sovik, 1963) has an unusual feature for an American church: a front balcony for antiphonal singing. In 1955, Ronald Nelson, a young choirmaster from Rockford, Illinois, joined the congregation. He had a vision for a liturgical arts and music school that would involve the congregation’s children in worship and the Lutheran tradition. In its heyday, two hundred students met for several hours each Saturday morning for art and, especially, music. This was no superficial social attachment, but a deep immersion in the resources of a religious tradition. We need to hear these stories while we still can. 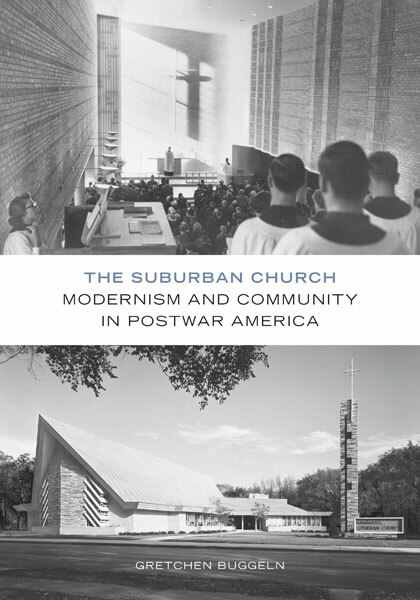 Gretchen Buggeln is author of The Suburban Church: Modernism and Community in Postwar America. She holds the Phyllis and Richard Duesenberg Chair in Christianity and the Arts at Valparaiso University. She is also author of Temples of Grace: The Material Transformation of Connecticut’s Churches, 1790–1840.